PLEASE READ!!! This house is Under Construction!!!!! Will Be completed in June 2019!!! Cute 1804 SqFt 3 bedroom 2 bath 2 car garage. 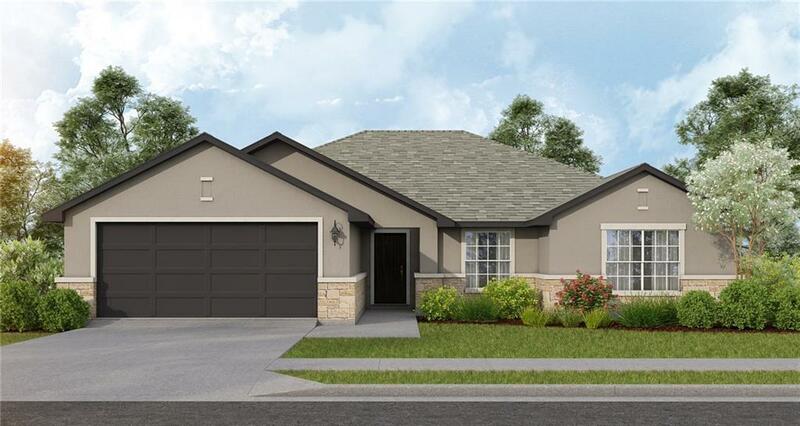 Home includes membership to Vaaler Creek Golf Course with 3 free greens fees per month. Open Floor plan, All sides Masonry, Stainless Steel Appliance Package. Dual Vanities w walk in closets. JR Olympic Pool, parks, fishing ponds, wildlife, equestrian center, affordable hill country living! Call Agent for more information. © 2019 Austin Board of REALTORS® (alternatively, from ACTRIS). All information provided is deemed reliable but is not guaranteed and should be independently verified. The Austin Board of REALTORS®, ACTRIS and their affiliates provide the MLS and all content therein “AS IS” and without any warranty, express or implied.The information provided is for consumers' personal, non-commercial use and may not be used for any purpose other than to identify prospective properties consumers may be interested in purchasing. Data last updated: 2019-04-21T17:24:11.593.